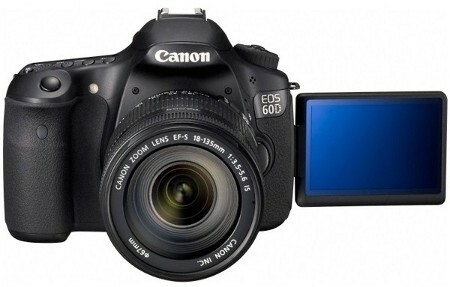 One of the things that make the EOS 60D DSLR special would be the inclusion of a three-inch Vari-Angle Clear View LCD display, Creative Filters for easy image manipulation, Full HD video recording with manual overrides, and in-camera functionality for RAW image processing. Meant for advanced amateurs, those who are just starting out in the world of digital photography might want to consider other models such as a Micro Four Thirds camera. Meant to take over where the EOS 50D left off, its large Vari-Angle LCD display boasts anti-reflective and smudge-resistant coatings, making it ideal for composing low-angle or overhead shots without missing a beat. aspect ratios, apart from the regular 3:2 ratio. These cropping lines do tremendously help one to compose images in Live View. Expected to hit the US at the end of September, it will cost $1,099 for a body-only configuration, while a kit version with Canon’s EF-S 18-135mm f/3.5-5.6 IS zoom lens will cost you $1,399.